Notes Based on the Chassis of the Sd.Kfz 250, the Sd.Kfz 252 was designed as an ammunition carrier to equip Sturmartillerie batteries with an armoured vehicle in which to re-supply their StuG IIIs with 75mm ammunition. One of the draw backs of the vehicle was that it could only carry a small amount of ammunition and to overcome this problem a Sd. Ah. 32/A armoured trailer was used to carry an additional 36 rounds. 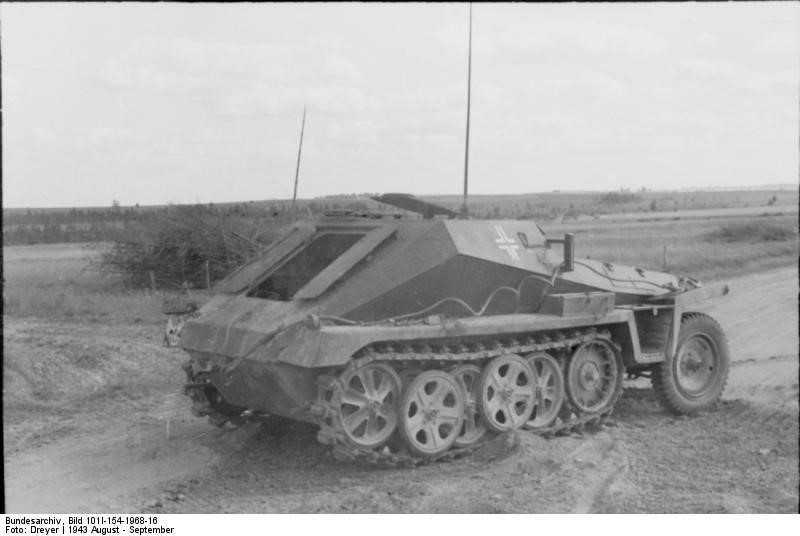 The first Sd.Kfz 252s were used in France in 1940 and they went on to serve on nearly every front until finally replaced by the Sd.Kfz 250/6.